Let Diane come to your home, office, or hotel to provide a relaxing, pain-relieving massage. Call her now at (703) 606-8884 to book your next massage! 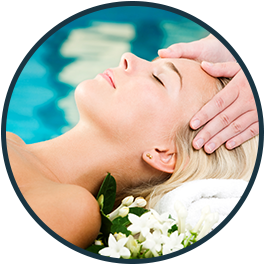 Decrease your stress levels and relieve aches and pains throughout your body with a relaxing Swedish massage. This therapeutic style of bodywork combines oils or lotion with an array of strokes such as rolling, kneading, and percussion to help improve your body's circulation. It also enhances your mental clarity, improves your appearance, and gives you greater flexibility. Diane offers a 60-minute as well as a 90-minute session, depending on your level of stress and the amount of pain you are in. Let her ease your worries and cares in a tranquil session! Add a 30-minute reflexology session to your massage to harmonize your entire body. This type of bodywork focuses on applying pressure to specific nerve zones in your feet. Reflexology treatments have been found to be highly effective for conditions such as allergies, headaches, and depression. As an in-depth science, it relieves tension in your feet as well as throughout your whole body, because every part of the human body is mapped into your feet. Reflexology provides healing through one part of your body, spreading from your feet to your head. If you have chronic stress and pain due to misalignment, repetitive motions, and past lingering injuries, Diane offers deep tissue massages in 60- as well as 90-minute sessions. This massage relieves tension in deeper layers of tissue in your body. Due to the nature of deep tissue work, open communication during the session is crucial to make sure you do not get too uncomfortable. Keep in mind that soreness is pretty common after the treatment, and plenty of water should be ingested to aid with the flushing and removal of toxins that are released from the deep tissue during the session.